Happy Caturday everyone. It is a wonderful day here, bright, sunny and blue skies. A bit cool now but it will get nicer as the day goes on. Mum and me had wonderful cuddles in the sleepy spot this morning. I was purring like crazy and she was just listening to me purr. Then the noisy thing by the bed sounded and she got up. This is the third day in row for this. Last two days she has been helping at the library book sale. Today she is all dressed up. Says she has a funeral to get to this morning. Mum did buy something at the sale, says she needs to "parlay voo Fransay" or something like that. She needs to learn a little bit as she will abandon me and head to this Basic French place next year. Fine, I will sit on you while I can, maybe I will learn me some Frenchy too. I am ready for my brekkie for the day and mum should have some too. She will be bizzy. The hots are gone! Yipee, we are all happy, the windows are back open and we can all breathe the nice cool airs. More like the fall it really is. Ducky gets to make a special appearance, mum brought up a thing from the dungeon that she could put the mum's on. She hoped they would all fit on it, but no. So here is the yellow one sitting in the top level, mum hoped to get the other two on other levels but they all have such a big flower heads they would get smooshed. So mum decided to leave two of them on the little table, they she tried it another way. Put the purple one in the stand, the yellow and orinch ones on the little table. So far the little bunneh is leaving them alone, the bun isn't big enuf to reach them up this high. With one moved off the table, they aren't likely to get bumped off by something. The way to get on with a cat is to treat it as an equal - or even better, as the superior it knows itself to be. - Elizabeth Peters. If Grampie was still alive, mum says he would be 102 today. That is a lot of years. We miss you! The hots are hanging on, so me and mum have stayed cool in the house. The air chiller is running, mum uses fans to help moves the air around. She doesn't do much outside. She did go to a thing at the library and this tall guy with a funny hat was there. Mum says he was acting as Honest Abe. When she got home she found me setting in the chair. She asked very nicely if she could sit with me and yep, I let her. First I just camped out on her lap, then I moved to the tower. I just moved on to the tower, into the little hut. I gave myself a nice bath, then a nap. The Pack - they started slow and were way behind. They caught up by the end of the game, so they had to play extra time. They won in the extra time. It was the hottest temperature ever at the start of the game in Green Bay. Short week, they have to play Da Bears on Thursday night. Happy Caturday everyone. The hots are back and we are taking it easy these days. No open windows to let the hots in the house, fans running to move the air around and the air chiller is working! Sitting so nice with mum on the couch. Usually there is all this junk sitting between us, but not this time. So mum reached out to pet my floofy belleh! Yeah, I like that. I got more of belleh rubs this AM when mum first got up. Flashy box strap, must attack! I got it too! Mum gently took it away from me. Says she needs it to be nice and not chewed up! Hey, I don't wreak things around here, I just play with them. Well, mum has to take off and go get shot. Not the bad kind of shot but get her flu shot. Then she will be protected from the sickies this winter. Garden Thursday - We Are LATE! Welcome to Garden Thursday with Virginger, Glimmer, Trooper and Fleur. Mum went off to sleep last night and didn't help us with our report. We will amember this for your purr-formance review. Well, it was storming last night, so maybe that made her forgets, then again, maybe it is becuz she is an old, forgetful mum! On to garden things. First, mum bought some mum flowers to put outside on Caturday. So we have something nice to look at in the fall. Mum put them at the bottom of the stand that holds the small fevver feeder. Here they were sitting inside the metal monster room for a bit. Besides the nice one that is already flowering good, the other two are more of a rust and maroon colors. So they had been sitting out when on Monday when mum got up she notice our local little bunneh by the flowers and the bunneh was eating them! Hey, stop that. Funny thing, it doesn't eat the actual flowers, just the stems. But if you biggify the pictures you can see the flowers on the ground, uneaten. Then when mum got up this morning, she found the fevver bath knocked over. Likely the sqwerls did this. She will be out later to make it right. Plus you can see mum put the mum's on top of the little stand so the bunneh can't keep eating at them. The sqwerls are getting a bit silly this time of year. Looking to put foods in places they can come back to visit and eat it later. Mum spied something last week out front. A black walnut, sitting on the stone ledge of the house! Did you spy it in the picture above, or do we need to give you a closer pic? Here it is, just sitting in the sun. Even closer shot that same day above, then below a shot from Monday, it was still there. Likely the sqwerl forgots where he hid his foods! Hers is another one where it has broken into the outer and inner shell to eat the nut inside. Mum says they have to find these things far away and bring them here. We don't have a black walnut tree in our yard or even really close! She knows of one several blocks away. So lots going on here, sorry we were late, we blame mum! 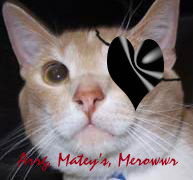 Ahoy my mateys! 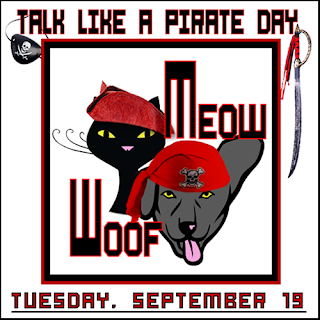 Welcome to Pirate Day. Our cruise on the Good Ship Sassycat will be leaving soon. It will be smooth sailing, we will be avoiding all of the stormy areas. 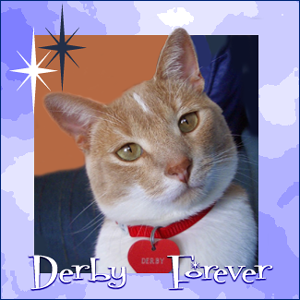 First I want to pay tribute to my late, grate bro, Derby. He was a mighty fine pirate and taught me all I know about pirate ships and guiding it on the high seas. So grab a hat to join in. We be searching for treasures on the high seas. 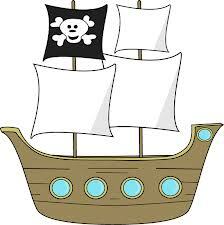 Keep alert looking for any wayward ships that we can take over and plunder for goodies. Aye, I be having my pirate patch on. 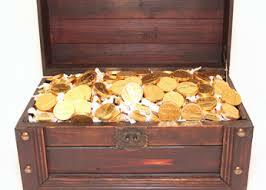 I have a mighty sharp eye for goodies and I think I spy a treasure chest ahead. Yep, treasures for us. We can cellybrate our good fortune, and get lots and lots of treats! Day is off to a good start. Don't be afraid of the day. 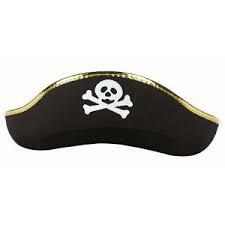 Iffn, you don't want to help our, well, ye be walkin' the plank! No, mum is not my owner, she is my mum! I loves her and she loves me back. I trust her, she is so kind and gentle with me. We had a nice weekend, it was warm, warm enuf that the air chiller kicked in so mum closed the windows until the sun went down. Today as we get to the evening on Sunday night it is getting cooler out again. Mum was good and read all of her stuff for her class like a good girl. She left some stuff until Sunday, but it wasn't much to read. So she skimmed it. It was about planting seeds and rain barrels. I snoopervised from the top of the tower. I was having so much fun that mum took moovies of me instead of working on her reading. The Pack - well they helped open a brand new stadium down in Hot-Lanta. All fancy and stuff. Unfortunately the Not Ready for Prime Time Packers team showed up. It wasn't pretty. They losted pretty big time. It's about time mum turned on the puter today. She has been reading the newsy paper about a trial here. Catching up on all the details on it. 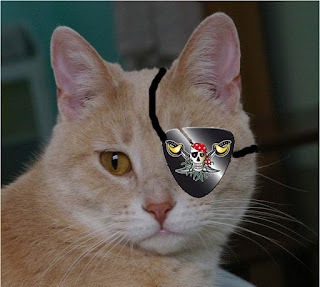 First I want to send out purrs to Allie and Raz and their mum. Their bean dad went off to heaven the other day. If you haven't sent them any comforting purrs, please stop by to do so. Thanks. It continues to be nice here. Open windows and warm. Warm enuf that the cold air thingy kicked in yesterday afternoon. So mum closed the windows until it cooled off a bit and the sun went away. The sun is sure setting earlier and earlier these days. Getting up later too. As long as the middle of the day hours are fine, then we are happy. Mum had her first Master Gardener class on Monday and look at all the stuff she brought home! The big binder in the back has all sort of stuff to read, the middle fat book is the text book. Then lots of hand outs. Plus they are supposed to get another book next week! Here is the list of stuff she has to do each week. Just like going back to school for her. Mum was surprised at how many people were there. Her class is 75 peoples, the other night is 50 peoples. Mum caught one of the sqwerls sneaking a drink from the fevver bath. Silly little guy. Plus she saw a deaded sqwerl a few weeks ago back by our gate to the trail. Mum just left him and he disappeared. Plus Mr Haw has been paying us visits, three times in the past week. Mum got a picture of him up on the wires, he turned quick and almost got a sqwerl hopping along a different wire. Sqwerl only escaped by swinging down below the wire. The a few days later, back to sit in the crabby apple tree, checking things out looking for something to pounce on for a meal. Our weather has been beauty-full, which happens whens the nasty weather is down south. We are happy to report that all of our furiends and their bean are OK. Phew! Thanks for stopping by, love, Virginger, Glimmer, Trooper and Fleur. Hee, hee. Mum got out of her chair to do something. So I moved in. You move you lose lady! Yeah, I just took up a little of the chair seat, but enuf that mum couldn't quite sit down without moving me. Yeah, move me she did, but then I got to sit on her! Mum has been checking in on all of our furiends in the path of the hurry-cane. So far everyone is safe and we hope everyone does stay safe. Tons of purrs to you all. Yep, it is that time of year. Feetsball is back. The Pack - got off to a slow start. Didn't score anything in the first half. ARodg was tossing the ball to the wrong guys, thankfully what looked like a score wasn't becuz the other guys pushed ARodg in the back. Second half they got their act together, scored some points. Defense did a good job too. We win! HiYa, Happy Weekend from Ducky and mum. It looks like it will be a glorious weekend here. Already bright and sunny here. We know that lots of our furiends are hunkering down for another hurry-cane this weekend down in Florida. You guys all be safe. We are keeping up our purrs and prayers for you all. I have had lots of snuggles and cuddles from mum this AM. We woke up slowly in the sleepy spot together. I got tons of loves and pets from mum. Now that the weather is a bit cooler I spend more time in the sleepy spot with her. I steal her warms. So mum says she needs to get moving today. Time to get some outside stuff done like using the grass eater. Thankfully no crazy cleaning this weekend, no company coming. Another week has flown by. Mum said we were very well behaved Monday being the outside hostesses with her. 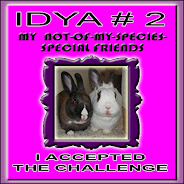 Unlike a certain inside boy who made himself scarce for the time mum's furiends were here. Did you notice all of the flowers on mum's dinnerware? She bought it years ago and just decided to use it all the time now. So she gets to see flowers every time she eats. Mum is starting on a class Monday, says this will make her a Master Gardener. Wow! We thinks she does pretty well now, but guess this will help her be even better. She has to go to classes every week until almost Christmouse time. Then do volunteer gardening things for so many hours, then she becomes an official Master Gardener. I wonder if she gets a pretty certificate when she is done. Wish her luck. That is all for now. Love Virginger, Glimmer, Trooper and Fleur. Yep, finally the company showed up, thankfully they only stayed for dinner! No staying overnight and taking up my extra napping spots. Getting ready, she move the table away from the wall so she could open it all up for peoples to sit and have enuf room for foods. She had lots of foods to serve. All the glassware washed out and ready to go, below she had the serving pieces out for the salad, chips and brats. Say, aren't you going to serve any good kitty furiendly foods? I would like some you know. Since I am a shy guy, I didn't hang around much while they were here. I did venture to the big window to the floor while they were having drinks outside. Mum said hello, I meowed and then took off until everyone had left. So what did she serve, well, she didn't take pictures during the dinner. So here are pics of the leftovers. Crunchy veggies along with a fruit salad, watermelon, black razzberries and golden kiwi. Brats were the meat, they all got eaten. Dessert was angel food cake, with peaches and red razzberries along with whipped cream. Mum had enuf left over that this is what she had for brekkie this morning! Plus she was nice and gave me some whipped cream to lick. Mum got all the dishes done on Monday, today she put them away in their spots. She even reorganized the day to day cupboard for better access to stuff. So we are both tired, I thinks we need a nap! We had a bizzy weekend.